We don’t just create websites – we host them, too. Whether you have a static, single-page website or a complex, database-driven ecommerce platform, we offer a range of flexible, reliable web hosting solutions to suit your needs and your budget. Our dedicated web servers are firewalled for security and housed in a climate-controlled environment inside a secure, purpose-built data centre. Hosting your website on our servers will keep the site safe from unauthorised personnel; furthermore, we will make sure that your website is running properly and loading quickly at all times. We will also back up your site to prevent any loss. Server SpecificationsOur servers are Microsoft Windows-based, running the latest server technologies with unlimited bandwidth and excessive amounts of memory and hard drive space. The servers are purpose-built, extremely reliable, and capable of supporting a wide variety of technologies (including Microsoft .Net, IIS v7.5, and SQL database solutions).Our servers are Microsoft Windows-based, running the latest server technologies with unlimited bandwidth and excessive amounts of memory and hard drive space. Domain RegistrationIf you don’t already have a domain name, we will help you to set one up as part of our web hosting service. We can register new domain names and/or transfer existing domains to our servers on your behalf; we can also provide sub-domains and domain forwarding if necessary. Once your domain is set up, we will manage and maintain it going forward, re-registering each year.If you don’t already have a domain name, we will set one up and manage it going forward. We can register new domain names and/or transfer existing domains to our servers on your behalf. Secure TransactionsWhen taking a payment online, you must always ensure that your customer’s personal data is protected. This can be done using an SSL (Secure Socket Layer) certificate, which encrypts transactions and data records. Our servers provide full support for SSL transactions, allowing us to register SSL certificates to a unique IP address, registered to your domain name.When taking a payment online, you must always ensure that your customer’s personal data is protected. Our servers provide full support for SSL (Secure Socket Layer) transactions. Email HostingOur email servers can support webmail and Windows-based email clients, such as Microsoft Outlook, Outlook Express, Windows Mail, etc. You can have as many different email addresses as you need, and we will provide all the support you need to get your emails up and running. We can also provide forwarding services, spam filters, and virus protection measures.Our email servers can support webmail and Windows-based email clients. You can have as many different email addresses as you need, and we will provide all the support you need to get started. Backup ServicesIt’s important to back up your data in case of loss. If you take out one of our website hosting packages, we will take care of this task for you; we backup our servers on a weekly basis, ensuring that these backups are safely stored offsite. If you need individual backups for your own use, we can also provide backups on CD or DVD as required. 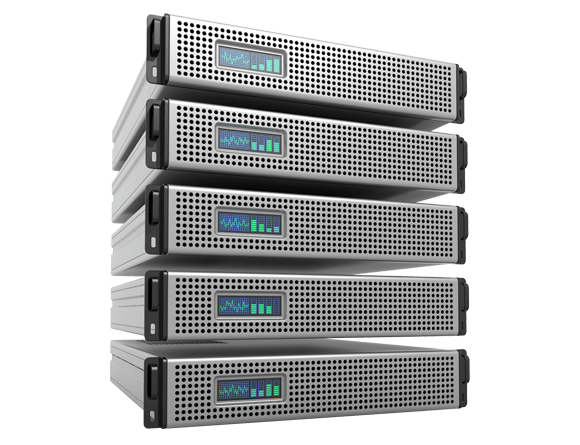 We backup our servers on a weekly basis, ensuring that these backups are safely stored offsite. We can also provide backups on CD or DVD. Cloud HostingIn addition to our dedicated website hosting services, we are also able to offer cloud hosting solutions for your business and its website. The benefits of cloud hosting include increased speed, infinite scalability, and a lower initial cost. If you are unsure, we will be more than happy to listen to your requirements and recommend a suitable web hosting package for you.If we feel that cloud hosting would be a better solution for your requirements, we may recommend this as an alternative to our dedicated servers. Our servers are fast, secure, reliable, and flexible enough to accommodate the continuous growth of your business. To find out more about our website hosting services, request a quote now.